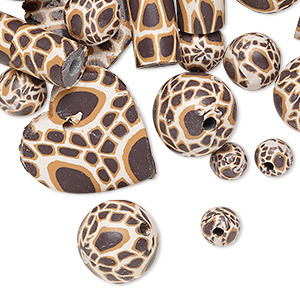 Bead mix, polymer clay, dark brown / tan / cream, 5mm-22x21mm mixed shape with giraffe print. Sold per pkg of 36. 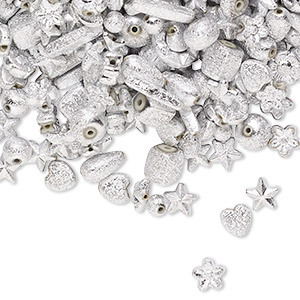 Item Number: H20-4016PB Have a question about this item? 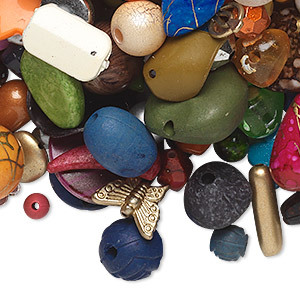 Classic handmade polymer clay beads add color and zest to jewelry. 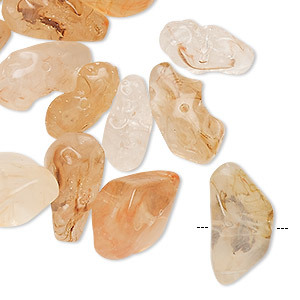 Lightweight and inexpensive, this mix is great for countless design possibilities. Shapes can include round, star, round tube and flat heart. 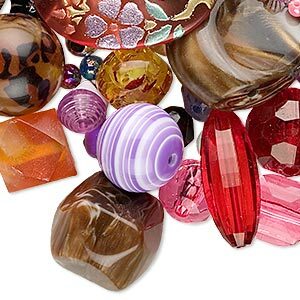 In each lot of handcrafted items, colors, shapes and sizes may vary. 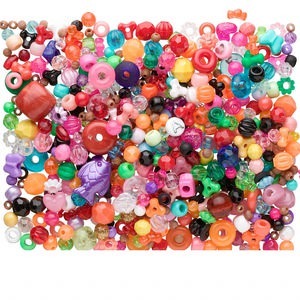 Bead mix, acrylic, mixed colors, 6mm-17x4mm mixed stardust shape. 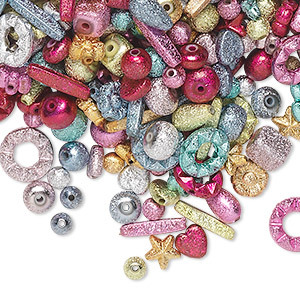 Sold per 100-gram pkg, approximately 300-400 beads. 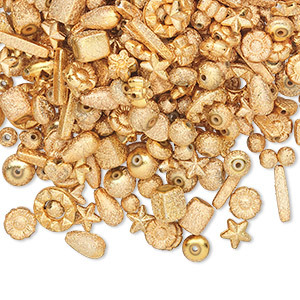 Bead mix, acrylic, gold, 6x6mm-14x5mm mixed stardust shape. 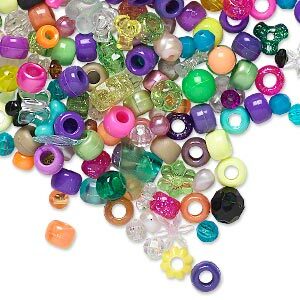 Sold per 100-gram pkg, approximately 300-400 beads. 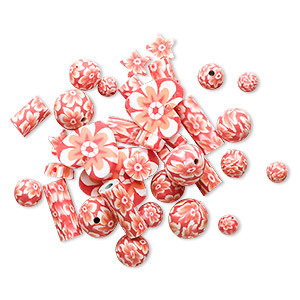 Bead mix, polymer clay, orange and white, 5mm-22x21mm mixed shape with flower design. Sold per pkg of 36. Bead mix, acrylic, transparent olive green, 6mm-36x13mm faceted double cone / faceted barrel / twisted oval. 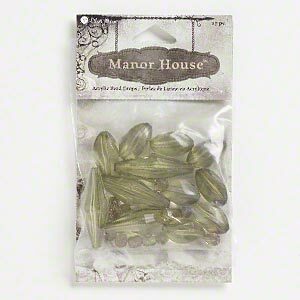 Sold per pkg of 27. Minimum 2 per order.